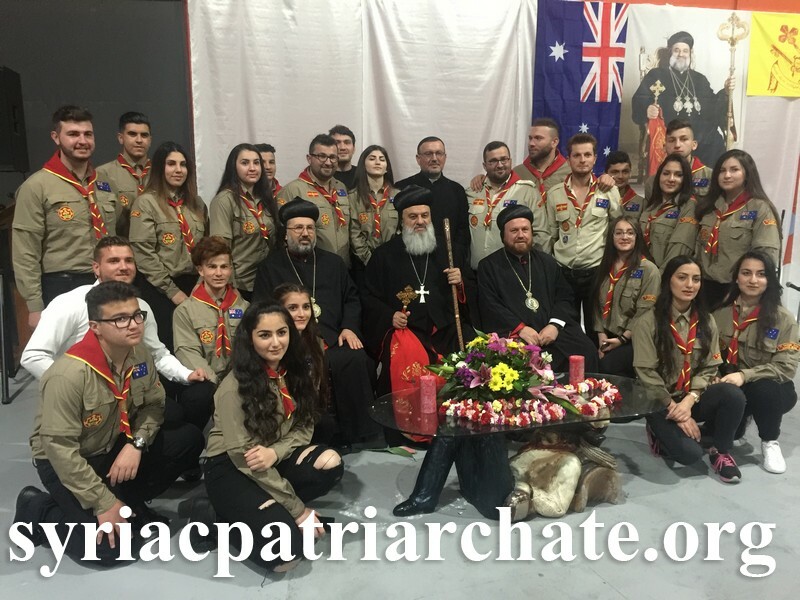 His Holiness Patriarch Mor Ignatius Aphrem II visits the community of St. Georges Parish in Melbourne. His Holiness was accompanied by their Eminences Mor Malatius Malke Malke, Patriarchal Vicar in Australia and New Zealand, Mor Nicodemus Daoud Sharaf, Archbishop of Mosul, Kirkuk, and Kurdistan, and Very Rev. Raban Joseph Bali, Patriarchal Secretary and Media Office Director. Upon his arrival, His Holiness was greeted by the Syriac Scouts and the church choir performed Syriac and Arabic hymns and songs. In his speech, His Holiness reminded the faithful of the many sacrifices that our forefathers made preserving the faith of our church. He also spoke about the importance of remaining attached to the homeland where the blood of the martyrs of our church has been shed. At the end of the visit, His Holiness blessed the faithful. 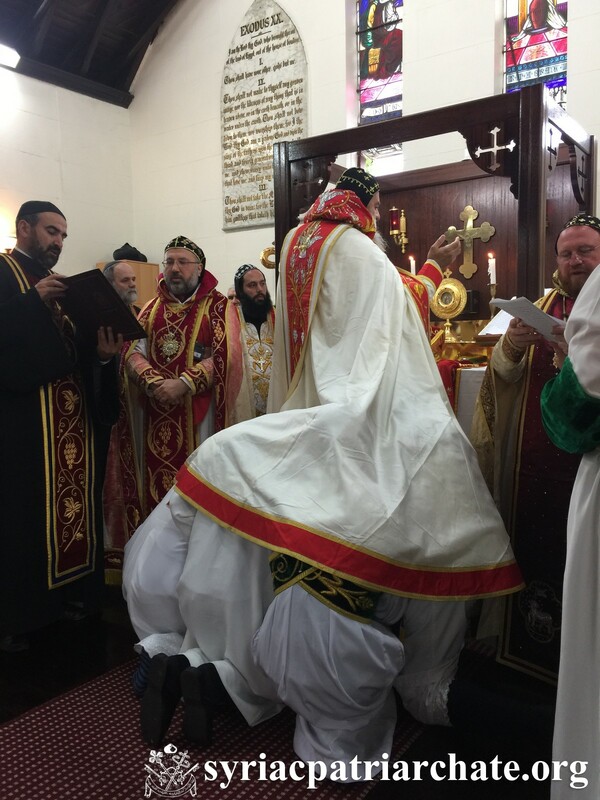 His Holiness Patriarch Mor Ignatius Aphrem II visited Mor Aphrem Church in Melbourne. His Holiness is accompanied by their Eminences Mor Malatius Malke Malke, Patriarchal Vicar in Australia and New Zealand, Mor Nicodemus Daoud Sharaf, Archbishop of Mosul, Kirkuk and Kurdistan, and Very Rev. Raban Joseph Bali, Patriarchal Secretary and Media Office Director. 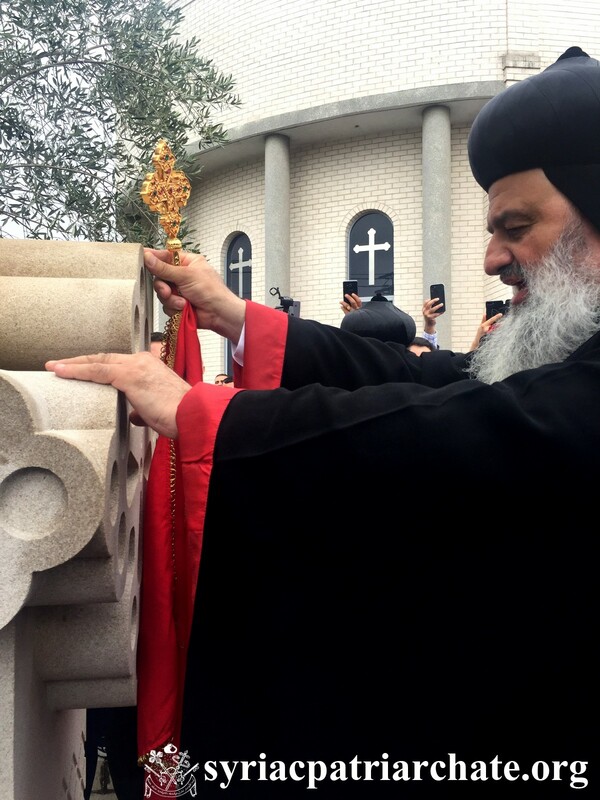 In his speech, His Holiness encouraged the faithful to remain attached to their orthodox faith and the traditions of the Syriac Orthodox Church. He also stressed the importance of working together to preserve the Syriac language and heritage. The Choir of Mor Aphrem Choir also gave a performance of Syriac hymns and songs. His Holiness Patriarch Mor Ignatius Aphrem II celebrated the Holy Qurobo at St. Mary Church in Auckland in New Zealand. 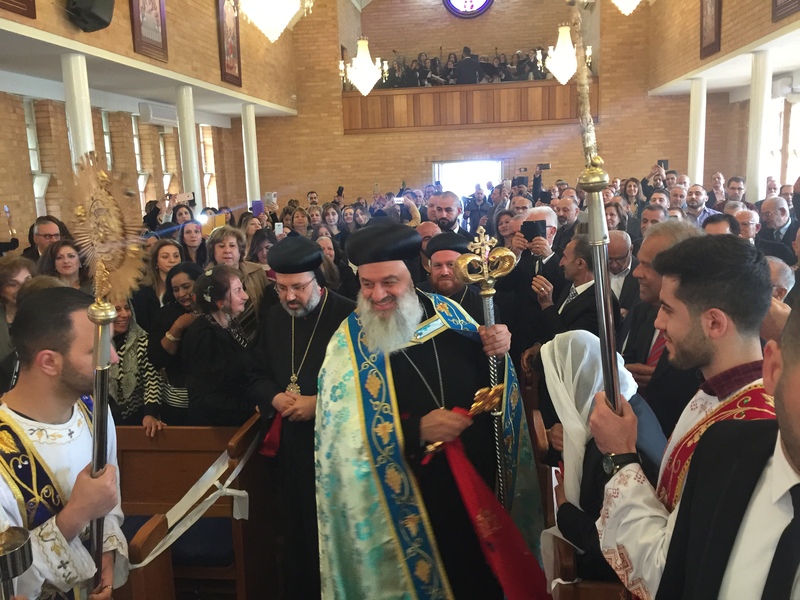 He was assisted by their Eminences Mor Malatius Malki Malki, Patriarchal Vicar in Australia & New Zealand, and Mor Nicodemus Daoud Sharaf, Metropolitan of Mosul, Kurdistan and their Environs, in the presence of the clergy and a crowd of faithful. In his Sermon, His Holiness expressed his gladness to be among his spiritual children; he then spoke about the consecration of the Holy Church. His Holiness Patriarch Mor Ignatius Aphrem II attends a formal reception hosted by St. Thomas Church in Auckland. Their Eminences Mor Malatius Malki Malki, Patriarchal Vicar of Australia and New Zealand and Mor Nicodemus Daoud Sharaf, Archbishop of Mosul, Kirkuk and Kurdistan and the accompanying clergy also attended. 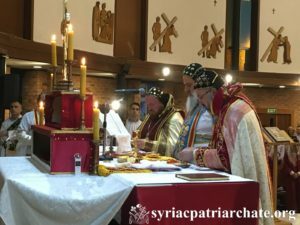 The choir of the church also performed church songs in Syriac and His Holiness blessed the members of the community and thanked them for the reception. 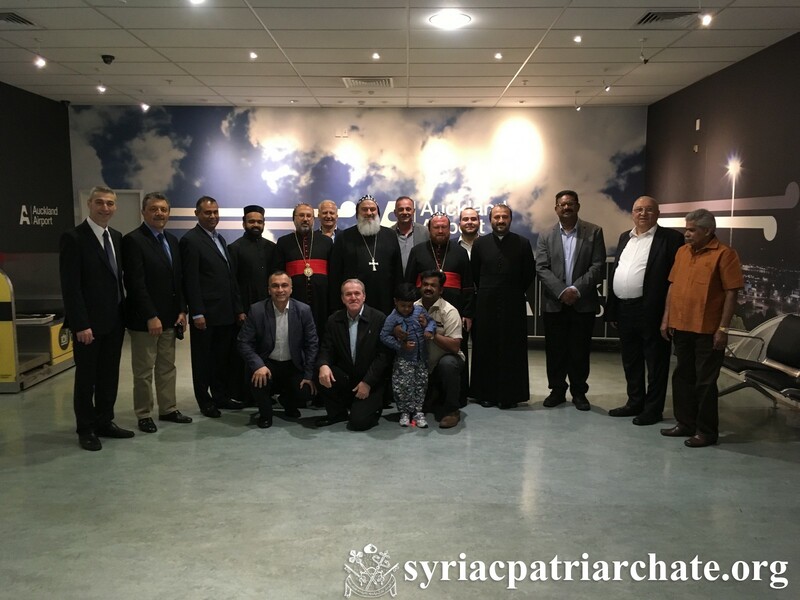 His Holiness Patriarch Mor Ignatius Aphrem II arrived to Auckland in New Zealand. He was accompanied by their Eminences: Mor Malatius Malki Malki, Patriarchal Vicar in Australia & New Zealand, and Mor Nicodemus Daoud Sharaf, Metropolitan of Mosul, Kurdistan and their Environs. His Holiness and the accompanied delegation were received at the airport by the priests of the parishes as well as a crowd of faithful. His Holiness Patriarch Mor Ignatius Aphrem II presided over evening (ramsho) prayer at St. Malke church in New South Wales in Sydney. Their Eminences: Mor Malatius Malki Malki, Patriarchal Vicar in Australia & New Zealand, and Mor Nicodemus Daoud Sharaf, Metropolitan of Mosul, Kurdistan and their Environs, as well as the clergy and a crowd of faithful attended the prayer. After the prayer, His Holiness and their Eminences attended a reception made on the occasion of His Holiness First Apostolic Visit to Australia. During the reception, the choir of children chanted Syriac Chants. His Holiness then distributed for the children certificates of participation. 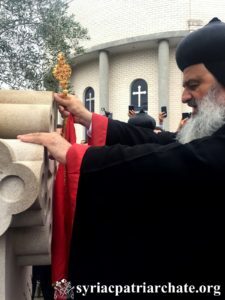 His Holiness Patriarch Mor Ignatius Aphrem II inaugurated a new monument for Sayfo genocide in the yard of the Mor Ehpraim Cathedral, in the presence of the Minister of Multiculturalism. 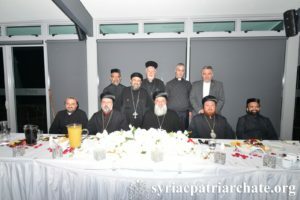 Their Eminences: Mor Malatius Malki Malki, Patriarchal Vicar in Australia & New Zealand, and Mor Nicodemus Daoud Sharaf, Metropolitan of Mosul, Kurdistan and their Environs, as well as bishops of sister churches in Australia, and clergy and a crowd of faithful were also present. 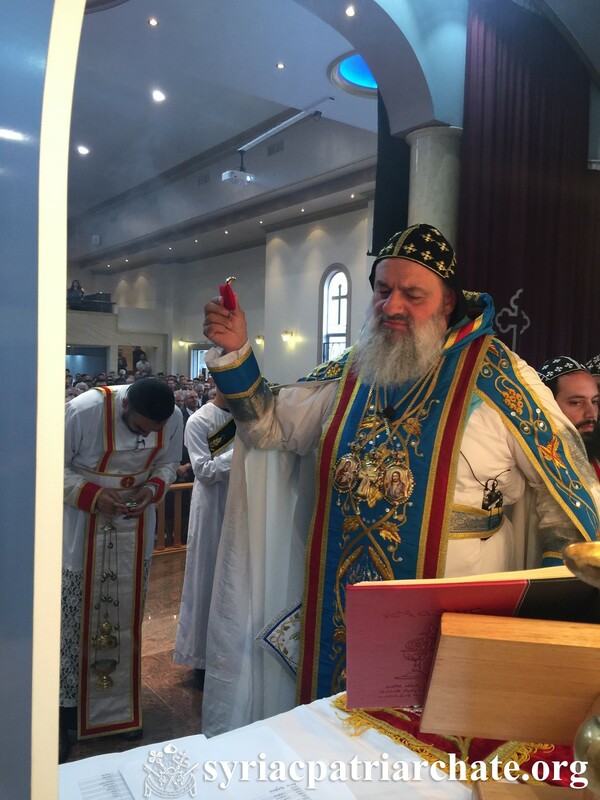 His Holiness Patriarch Mor Ignatius Aphrem II celebrated the Holy Qurobo at St. Ephraim Cathedral in Sydney. He was assisted by their Eminences: Mor Malatius Malki Malki, Patriarchal Vicar in Australia & New Zealand, and Mor Nicodemus Daoud Sharaf, Metropolitan of Mosul, Kurdistan and their Environs, in the presence of the clergy and a crowd of faithful. In his sermon, His Holiness spoke about the significance of the Sunday of Consecration of the Church. He said: “Holiness is not unattainable, it is the way to Christ, the path of Christianity, it is a ladder that takes us to heaven, no matter how many times fall off that ladder, we should get up again and try to reach up high”. He also spoke about the consecration of the church and the affirmation of Simon Peter that Jesus Christ is the Son of the living God. And this is the faith of the Church which shall not be shaken and hence the gates of Hades will not prevail. After the Holy Qurobo, His Holiness bestowed the pectoral cross to Fr. George Alkan, parish priest of Mor Ephraim Cathedral. His Holiness Patriarch Mor Ignatius Aphrem II celebrated the Holy Qurobo at St. Gabriel church in New South Wales in Sydney. 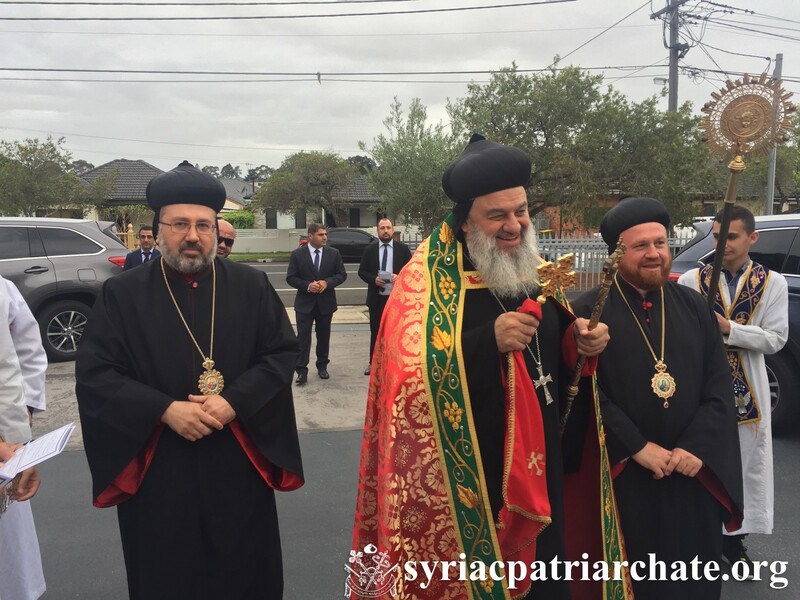 He was assisted by their Eminences: Mor Malatius Malki Malki, Patriarchal Vicar in Australia & New Zealand, and Mor Nicodemus Daoud Sharaf, Metropolitan of Mosul, Kurdistan and their Environs, in the presence of the clergy and a crowd of faithful. During the Holy Qurobo, His Holiness presided over the ordination rite of deacons, where he ordained new readers (Qoruye) and sub-deacons (Apodeacone) for the archdiocese, from the four churches of New South Wales: Mor Ephraim Cathedral, Mor Malke Church, Mor Thomas the Apostle Church, and Mor Gabriel Church. In his sermon, His Holiness spoke about the deacon and the life of faithfulness and purity he should lead. His Holiness then spoke about the several ranks and roles in the church structure and emphasized the fact that the diversity of roles should lead to a stronger unity in the church. He also expressed his gladness to be amongst his spiritual children, and congratulated the newly ordained deacons and wished them a blessed church service. His Holiness Patriarch Mor Ignatius Aphrem II presided over evening (ramsho) prayer at St. Thomas the Apostle Church in Wollongong. 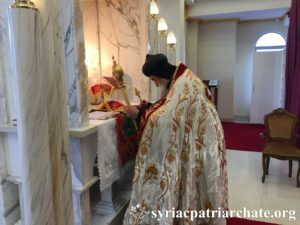 Their Eminences Mor Malatius Malki Malki, Patriarchal Vicar in Australia & New Zealand, and Mor Nicodemus Daoud Sharaf, Metropolitan of Mosul, Kurdistan and their Environs, as well as priests, monks, and a crowd of faithful attended the prayer. In his spiritual word, His Holiness spoke about the little flock and the love and care of our Lord to all His flock. He then spoke about the importance of integration of the new comers from Iraq and Syria to Australia, and how the community should always work together and support one another. He also emphasized the significance of preserving the traditions of our church. At the end of the prayer, a reception was organized on the occasion of His Holiness first Apostolic Visit to Australia.